The commline abuzz with pre-battle orders. The pounding rhythm of a metal titan on the prowl. The shifting glow of your BattleMech's controls spread before you. Then the abrupt tone-lock of incoming fire wails in your cockpit as missiles, autocannon shells, and lasers fall like Thor's hammer against your armor. Seize your Mech's controls, draw its weapons into line, and unleash a hellish response! BattleTech is the world's greatest armored combat game, filled with a myriad of epic stories and gaming experiences to satiate any player: miniatures to RPG play, hobby painting to fiction, and beyond. 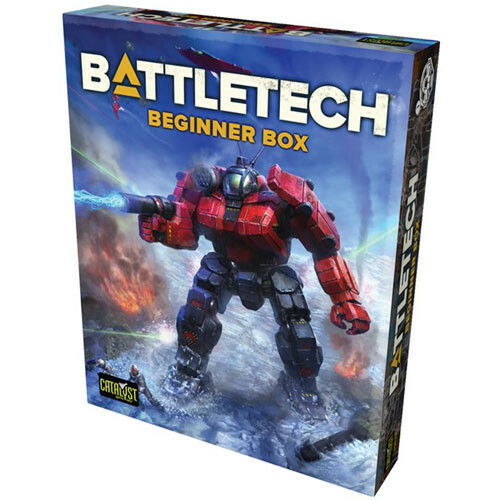 The BattleTech Beginner Box is the first step on that fantastic journey and includes everything you need to get started: two high-quality miniatures, quick-start rules, a mapsheet, cards to represent your MechWarrior's unique skills, dice, and more. Do you have what it takes to plant the banner of victory and become a legend? 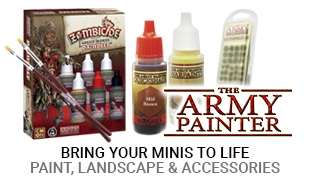 Leap into the action and find out!